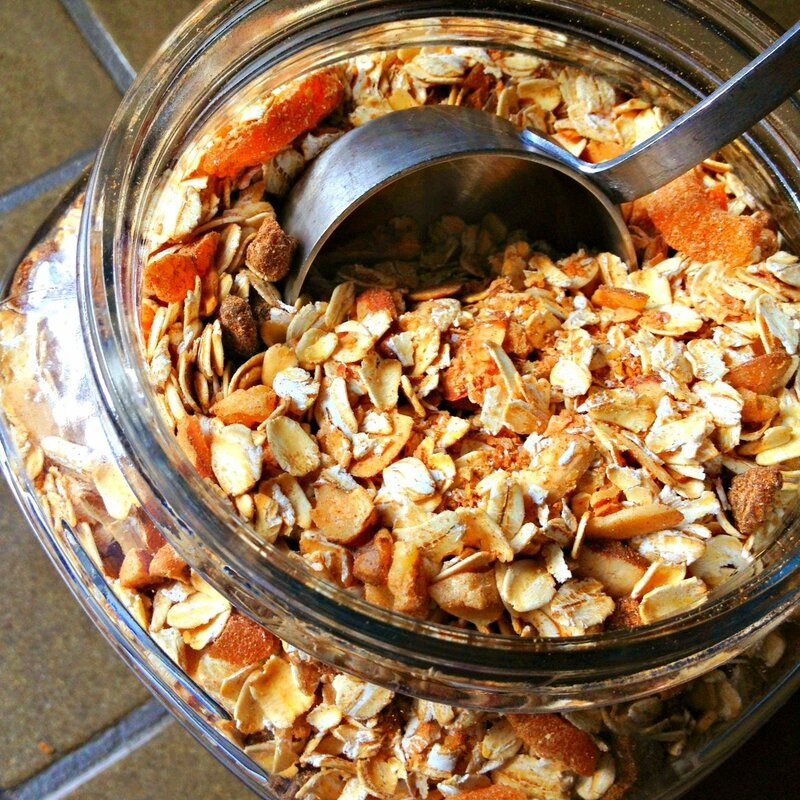 Making your own instant oatmeal is as easy as combining oats with your favorite nuts, dried fruit and spices. Fast, healthy and a great cost savings! 2) Don’t Let Raisins Have All The Fun: I love raisins, don’t get me wrong. But why not give a shout out to your other favorite dried fruits? Apricots, cranberries, cherries, dates, figs… go crazy with your dried-fruit-loving self. 3) Sneaky Nutrition: Flax seed meal and toasted wheat germ does a body good and I guarantee your children will not notice it’s in there. I do guarantee their bodies will appreciate the omega-3’s, zinc, protein, B vitamins, fiber and other goodies. Prefer video? Recently, I had the opportunity to visit my friends from EightWest to demonstrate this recipe on TV! Check it out! Pre-heat oven to 350 degrees and spread chopped nuts in an even layer on a baking sheet. Roast nuts for 10 minutes or until lightly toasted; set aside. In a large mixing bowl, combing all ingredients including toasted nuts. Store in an air-tight container for up to 3 weeks. 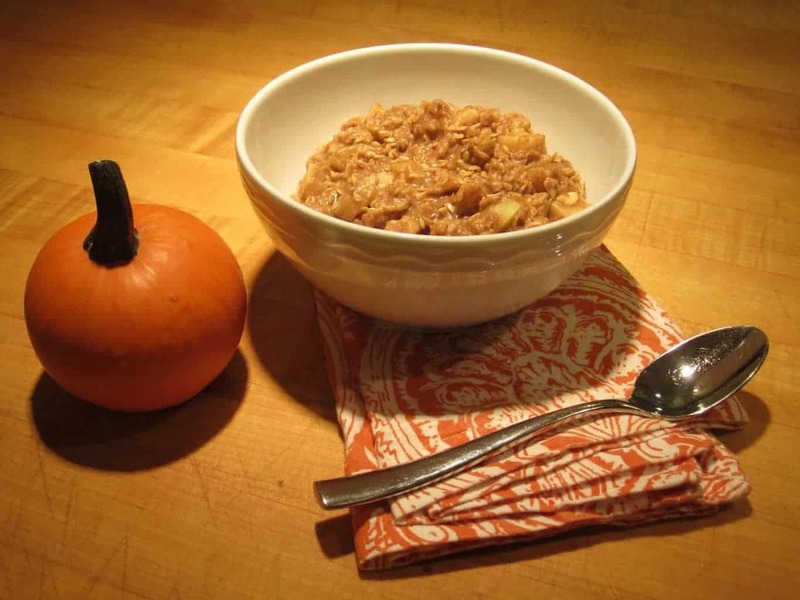 To serve: scoop out 1 cup of the oatmeal mixture and place in a bowl with 1/2 cup water or milk. Microwave for 90 seconds or until liquid is absorbed. 1/2 cup of liquid is use to cook oatmeal but feel free to add more or less to reach desired oatmeal consistency. 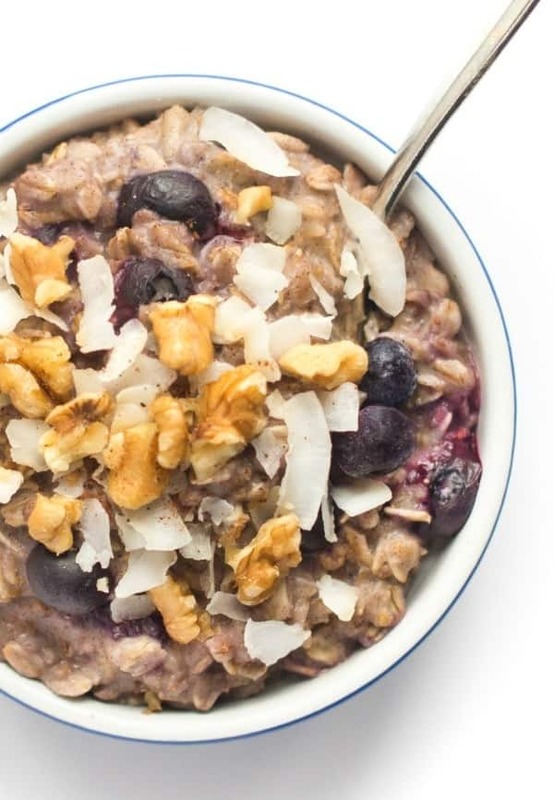 90 seconds will cook the oatmeal but if you prefer a more mushy oatmeal, feel free to cook longer. I like it a little on the chewy side! Wondering what type of salt people are using and if that’s making the “salty difference”? I’m not sure why people can’t tell beforehand if salt or cinnamon levels are going to be too much. If you’re sensitive to it, wouldn’t you know and adjust accordingly up front? Oh my god the salt. You really should edit this recipe for future users. I wasted all those ingredients, and I can see from the comments section many folks felt the same. This was the worst recipe I’ve ever made from online. Hi Anon, I am going to politely agree to disagree. The salt balances out the sweetness of the sugar and dried fruit. That said, you’re welcome to make it your own and leave it out! I just made a batch of this last night and tried it myself today. It is SO SALTY!! I can’t even taste any other flavors! Is there a way to fix this batch, other than making another with NO salt to add to it? My kids might not even eat this and I have already wasted all these ingredients. I’m so bummed-this looked like a keeper ????. Hi Julie Ann, We make this all the time so i Just want to make sure: did you use four teaspoons? Not tablespoons, right? Just making sure. 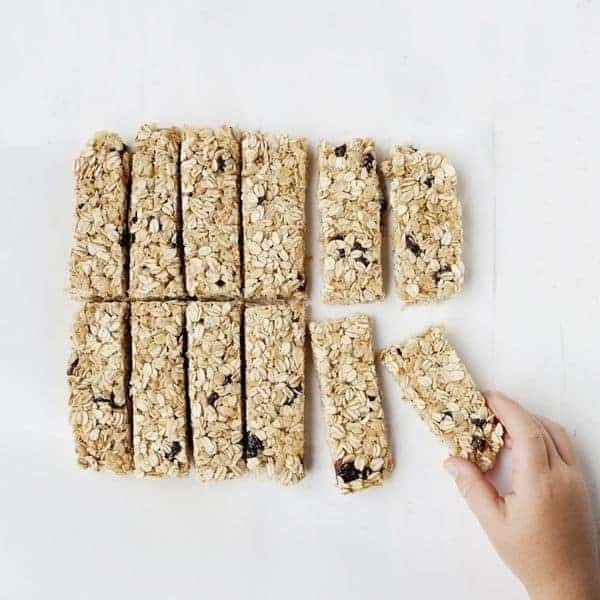 In general, 4 teaspoons works well with 1/4 cup cinnamon, 8 cups of oats, 2 cups dried fruit, 2 cups nuts and 1/2 cup brown sugar. That said, you can just add more oats and cinnamon and that should fix it! Home made granola and yogurt or Oatmeal!